Home » News, Trends, Cocktails, & all things Charleston! 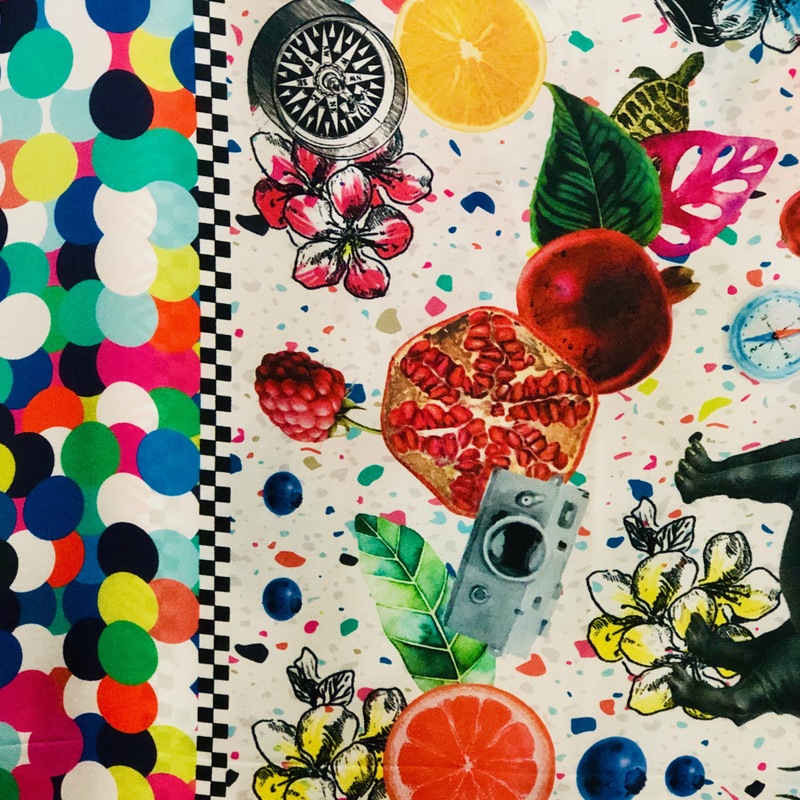 » Let's get fruity! 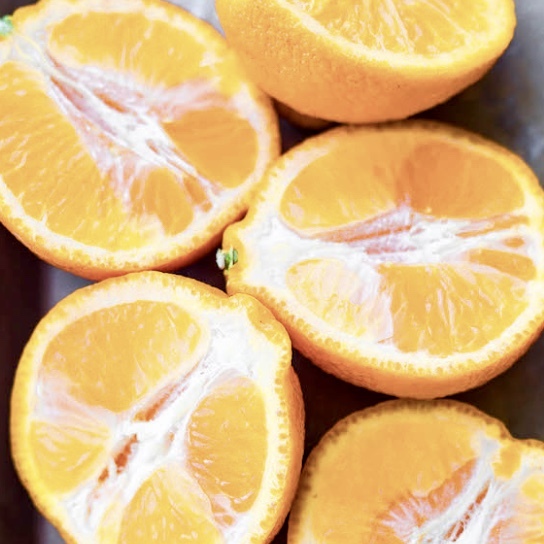 Fruit: a fresh and fun alternative to your typical spring florals. Wear it and sip it this spring season. Our favorite part of isolated trends is that you can own them and really express the concept however you would like. Go as bananas or as simple as you feel. With our spring collection we have truly given you the foundation to build your wardrobe up with thoughtful accent pieces or full on prints from head to toe. 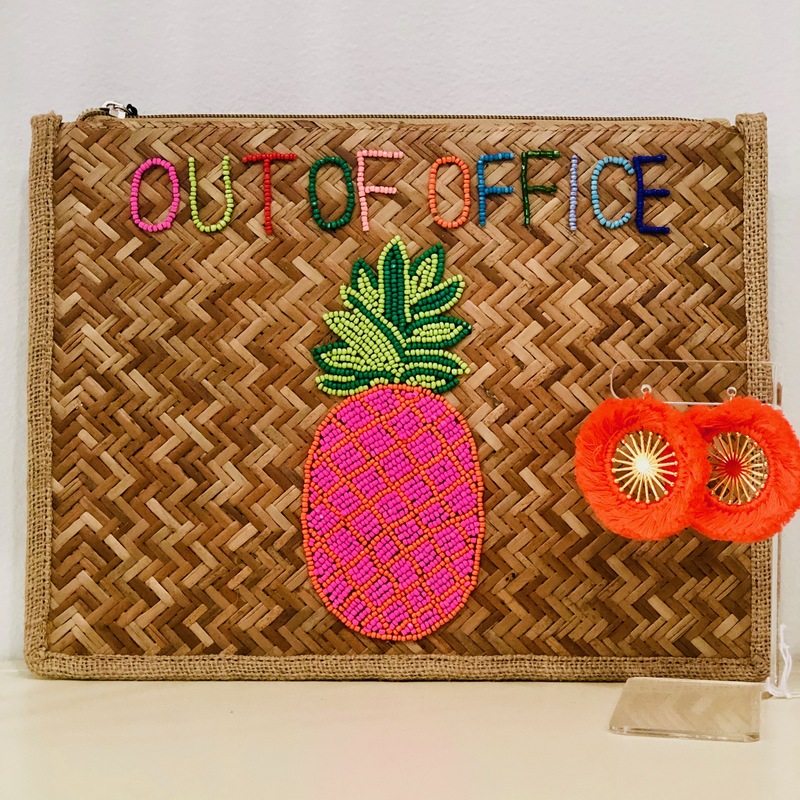 Execute this trend by wearing our quirky banana skirt or accessorizing your outfit with one of our beaded or embroidered clutches. 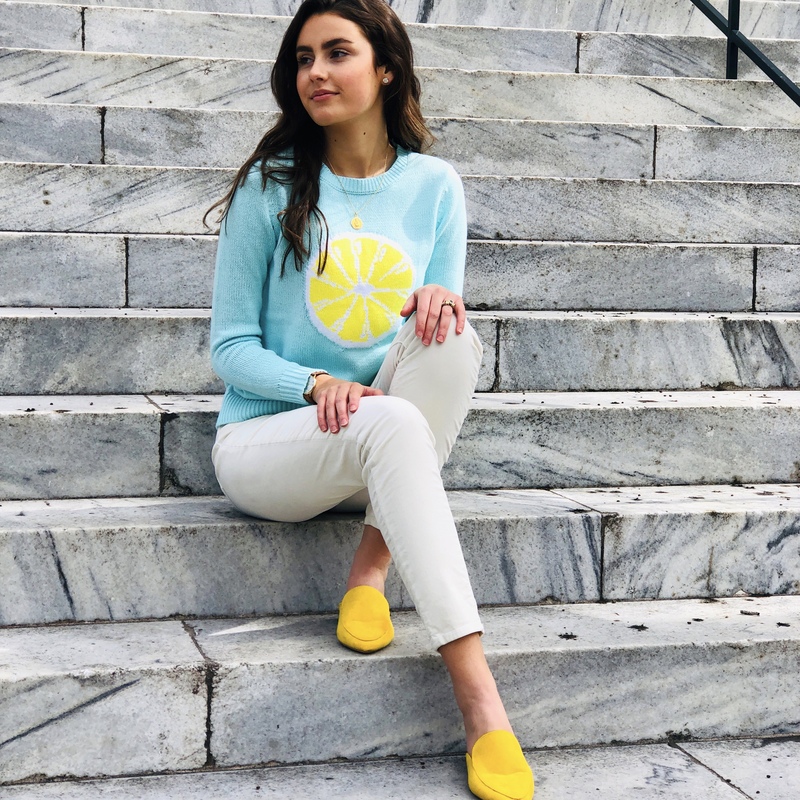 It doesn't get much cuter than our aqua cotton Sail to Sable sweater with a bright yellow lemon on the front, throw it on with some white jeans for those chilly spring nights. 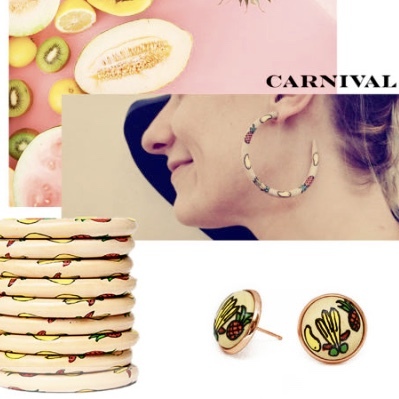 If you're not ready to fully commit to wearing fruit, don’t worry, we also have added some inspiration earrings handmade in Greece that resemble this citrus style as well as some fabulous painted wooden bangles and earrings. We’ve styled our favorite outfits below available now, online and in store. You know we can’t let you wear this trend without a fabulous cocktail in hand. Check out our specialty citrus cocktail of the month below. A refreshing and light tequila drink with fresh fruit and added health benefits. 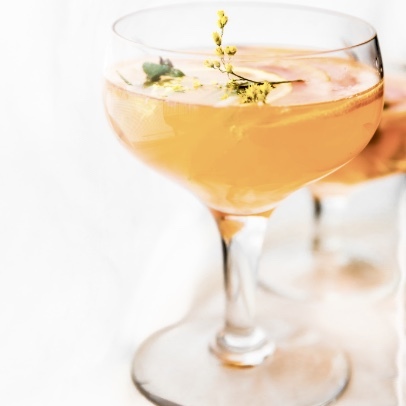 Check out the link below for Lindsey Cotter's post on this delicious cocktail and why tequila can be good for you! Finally, you are invited to our cocktail of the month tasting held in our store on Friday, March 22nd from 4:30PM to 6PM. This event will give you a chance to try on the pictured items above as well as all of our new arrivals while sipping our signature cocktail of the month! Event is first come first serve, while supplies last so run don't walk! 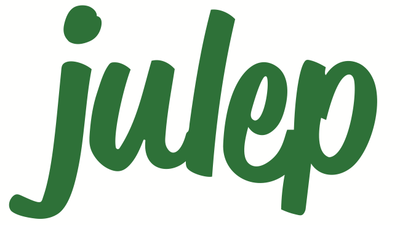 Make sure to share and comment on this page for a chance to win a gift card and follow our social media handles to stay up to date on all things Charleston and Julep! Want to make sure you don't miss out on our specialty cocktail of the month sip & shop?! Click the image below to receive monthly updates!